What’s the last great unknown that’s hardly been explored by mankind? Where are the last great reserves of open territory, ripe and waiting for exploration, occupation and development? On a cosmic scale the answer to that question just might be outer space or the ocean deep. But on a more personal scale, might the answer be your garage? Think about it: could your garage be considered the “last great reserve of open territory” in your personal sphere? Consider the total size of your home in terms of square footage. Your garage is a huge percentage of that total area. Isn’t it a shame to leave such a vast potential untapped? Sure, you’re probably using your garage for the storage of tools and equipment. It’s probably packed with lots of odds and ends, boxes, and – if we may be blunt – junk. But your garage is an integral part of your home. It could be so much more than just a glorified storage shed. An extra bedroom or guest room. The possibilities are truly endless. And by converting that currently forlorn frontier into one of those many possibilities, you will enrich your family’s life immeasurably. In times past, when much of our planet was an unexplored entity, it’s said that mapmakers of the time often inscribed the borders of unknown territories with the phrase: Here be dragons. And of course, that menacing phrase would be accompanied with frightful drawings of ferocious and intimidating beasties. The message was clear: Journey beyond these boundaries, and woe be unto ye! 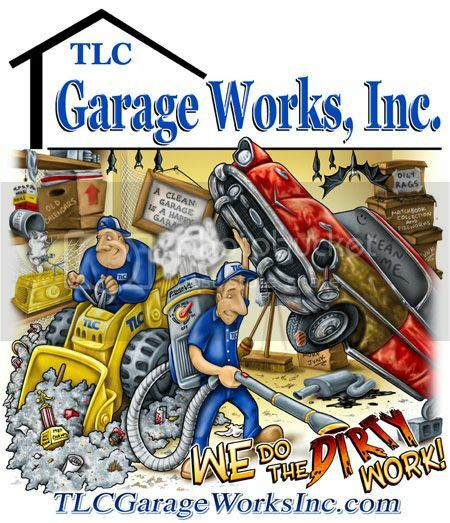 But while your garage – your vast, untapped frontier – might be an intimidating, nasty mess, it’s not unsalvageable. We can help you organize and update it. We can help you tap into that vast reserve of space and render it suitable for whatever development you’d like to pursue. There be no dragons there, and we’d be glad to take the lead in proving it to you! This entry was posted on Monday, May 6th, 2013	at 8:00 am	. You can follow any responses to this entry through the RSS 2.0 feed. Both comments and pings are currently closed.